Cruising is becoming more and more popular and the cruise lines are keeping pace, debuting new ships every year it seems. I recently had the opportunity to sample 2 of the newest, biggest ones in the mainstream fleets back to back. I’d be more than happy to cruise on either one of these ships, but there are some differences in the experiences. 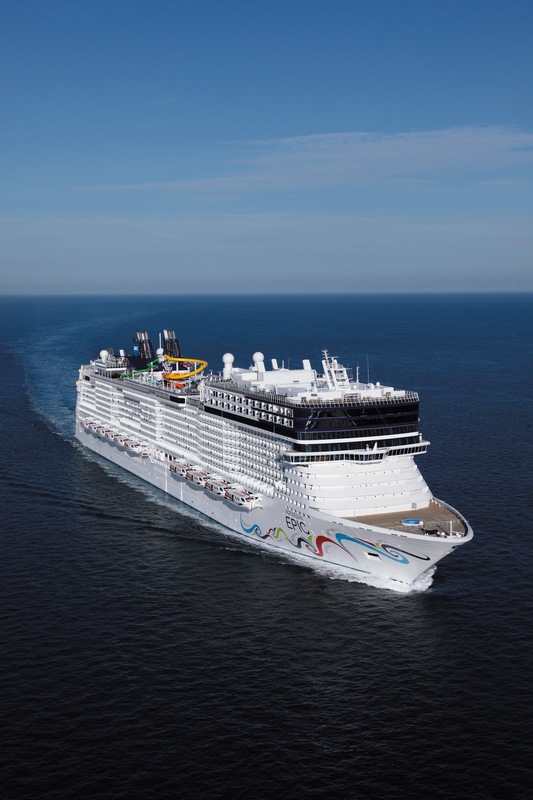 The Epic is Norwegian Cruise Line’s latest and greatest addition. It’s capacity is 4,100 double occupancy passengers. There is a definite relaxed, laid-back vibe that’s evident as soon as you embark. In many ways the Epic breaks the mold of traditional cruising, but not so much when it comes to the ship design. The gangway leads to the central multi-story atrium. 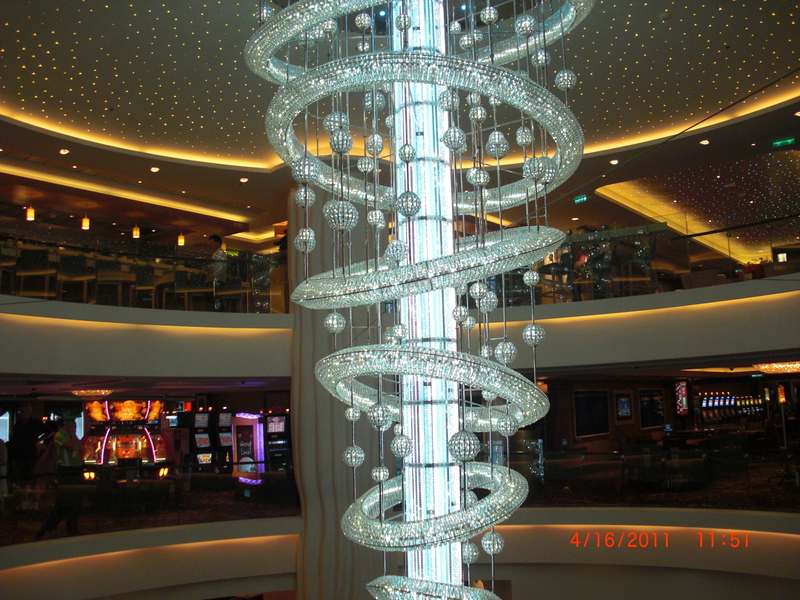 Head one direction and you’ll be forced to walk through the large casino area to get to the main dining room – a design I don’t care for. Head the other and you’ll end up at the spa and fitness area. Some of the unusual additions along the way include the bowling lanes and the first ice bar at sea. Pretty cool. The Epic offers over 20 different dining venues, ranging from the traditional main dining room and lido deck buffets to specialty restaurants. Many of these come with an added upcharge so that’s something to factor in when looking at price. I have to say, I was treated to lunch while on the ship, and wasn’t particularly impressed. One of the dining options is called Cirque Dreams where along with your dinner you’ll be delighted by theatrical acrobats. Nighttime entertainment is also quite varied on the Epic with The Blue Man Group, Legends in Concert, Second City Comedy and the dueling pianos bar Howl At The Moon. 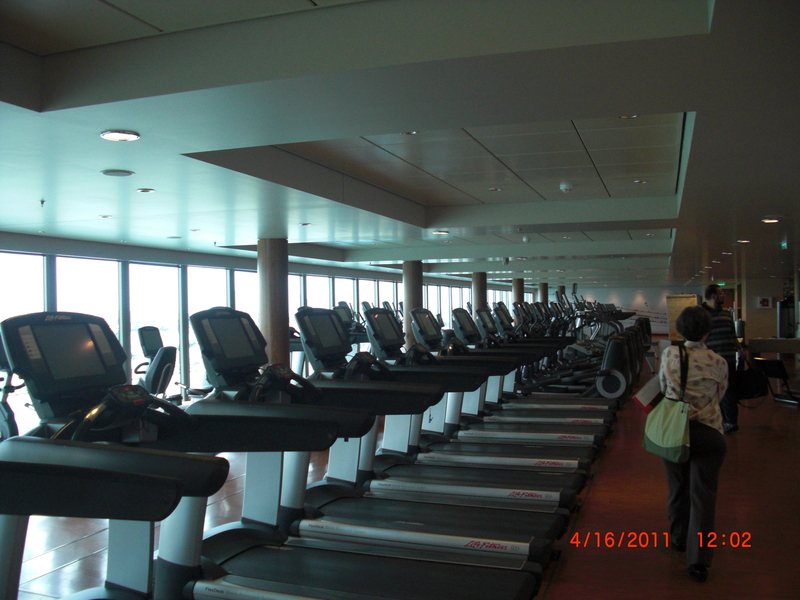 The Epic really shines with it’s extensive fitness facility and Mandara Spa, the largest at sea. With the plethora of choices for fitness equipment and classes – including TRX and kettlebell – you don’t have to leave your workout at home during your vacation. 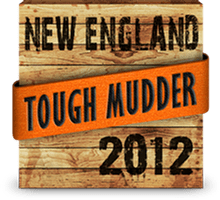 Follow that with a facial, massage, or even an acupuncture treatment. If I’m lucky enough to experience this ship for more than an afternoon, I’ll definitely be spending some quality time here. With an eye toward the family demographic, the Epic doesn’t skimp when it comes to the kid’s area. Unlike many ships who hide the kid’s kingdom away in the center, back or bowels of the ship, the Epic allots the youngsters some prime space. 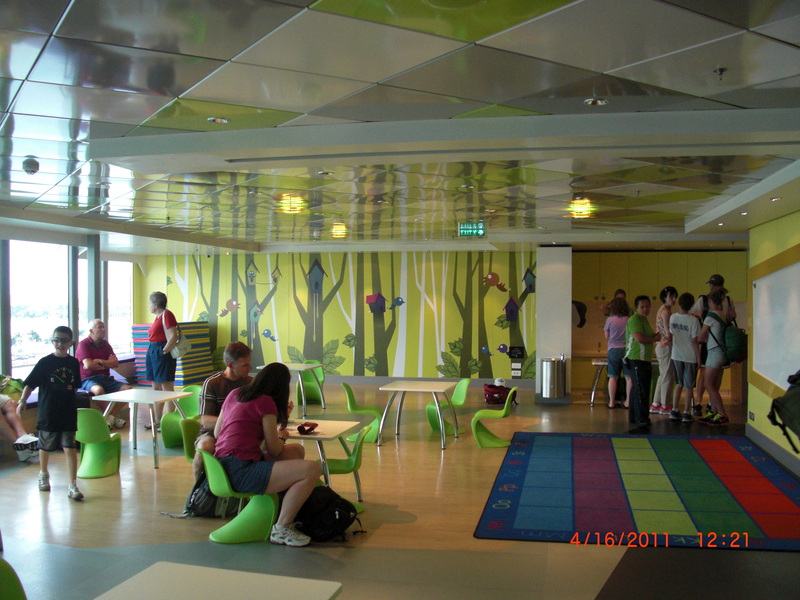 The area spans across space on Decks 14, 15 and 16 with a video arcade, teen dance club, walls of Wii and Playstation. There is a separate kid’s pool and of course the water slides and rides are fun for kids of all ages. Norwegian has implemented a new concept in cruise cabins with the Epic..dedicated singles cabins called ‘Epic Studios’. Granted, they are all inside cabins, but with a positive response, maybe that will change in the future. 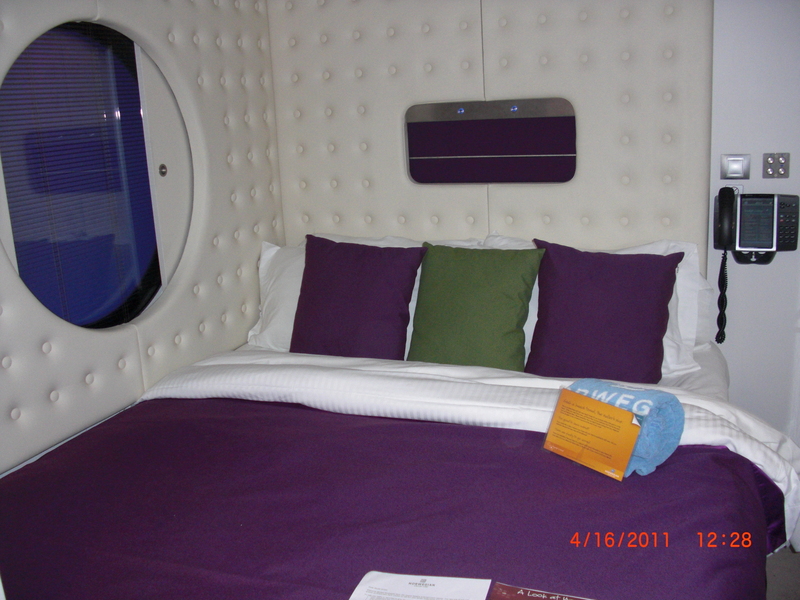 And not just cabins, but an entire area of the ship – the studio lounge – reserved just for the single traveler. The cabins are miniscule, but really, how much time do you spend in your cabin on a cruise anyway? The standard cabins have a very comfortable feel with curved walls, jazzed up decor and flat-screen televisions. 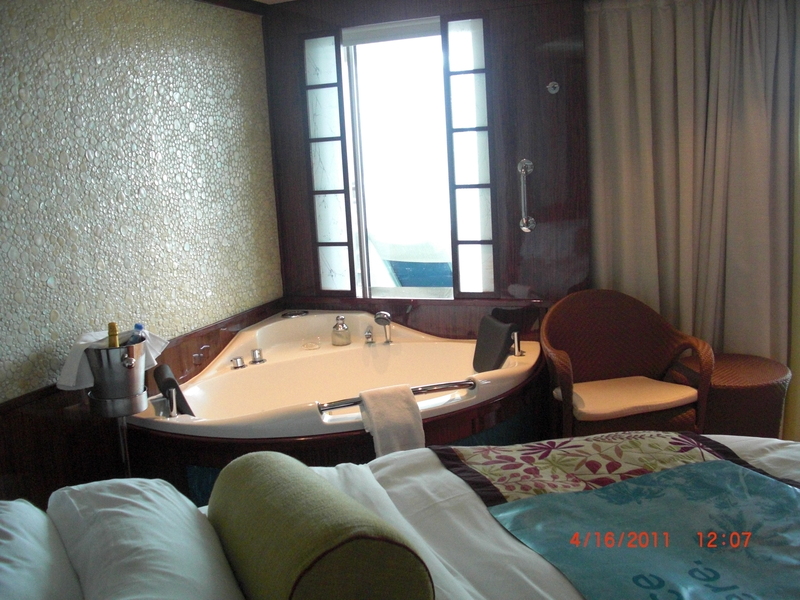 Upgrade your cabin to a spa deluxe and luxuriate in your own jacuzzi tub. thank you – George liew – mmelbourne . George, The ship is huge and amazing…any specific questions?